The Zombified ride that was WSC Atlanta 2017! This was an amazing ride with the partnership of with Walker Stalker Con this year! Starting with our premiere party on 10/22, to our booked out Cooper Andrews tour, and the WSC Atlanta convention itself (with a lot of little things in between). We also provided a shuttle on Wednesday, Thursday, Friday, and the Monday after the con, and we helped people expand their Walking Dead craze down to Senoia and back to the Congress Center! 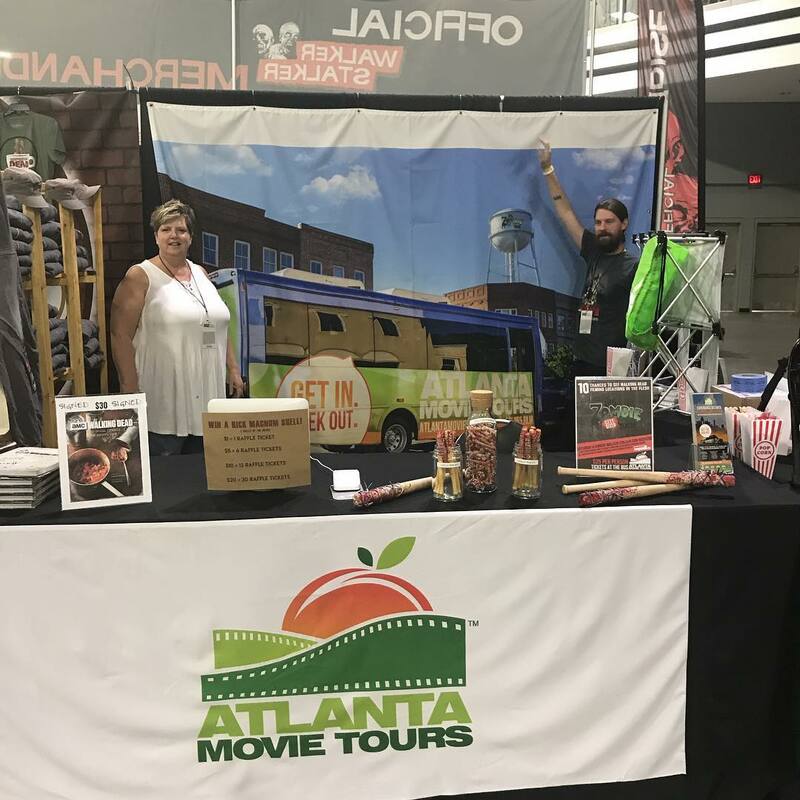 On the weekend of WSC Atlanta, we offered Bite-Sized Big Zombie 1 Tours that gave fans a quick sneak peek of some filming that happened in season 1 and 5 of The Walking Dead while getting their convention on! One of the days in Senoia, our Insider and driver Jenny found some Walkers in Woodbury. Luckily we got our guests out of the town before the outbreak started! We also have some news! We now own Dale’s replica RV! We have a little teaser trailer for everyone. We have some big plans for it and are excited to have it as a part of the AMT family! What’s next you ask? Heroes and Villains Fan Fest Atlanta! You can get your tickets now. You can even come jump on a Hero Tour and check out all things Heroes and Villains before the convention! Check out all the photos with our Insiders and more on our Facebook!